FAYETTEVILLE, Ark. 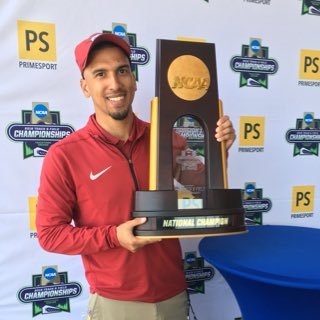 – The best meets in the country happen in the Track Capital of the World, and day one of the Tyson Invitational was nothing short of greatness as the Razorbacks competed near and far at Randal Tyson Indoor Track and in Seattle, Wash. at Dempsey Indoor Friday night. “We had some highs, I wouldn’t say we had lows, but we didn’t run to our expectations,” said associate head coach Chris Johnson. “Obviously, we traveled [last weekend] and I’m not a coach to make excuses but that’s a part of it. When you travel, you come back and have a short week to get ready and then you have teams coming in ready to run fast, and obviously, that’s a testament to who they are and the level of caliber of athletes that they have. We just had to go out and compete, and sometimes it doesn’t go bad, but it doesn’t necessarily go your way. We’ll build from that, take a look at it and see what we need to do to be better and get ready for the conference meet. I don’t think it was bad by any stretch of the imagination, the bar is really high for the times that the ladies and I have set for themselves. I think we’re very consistent, and that’s going to lead to success,” Johnson continued. 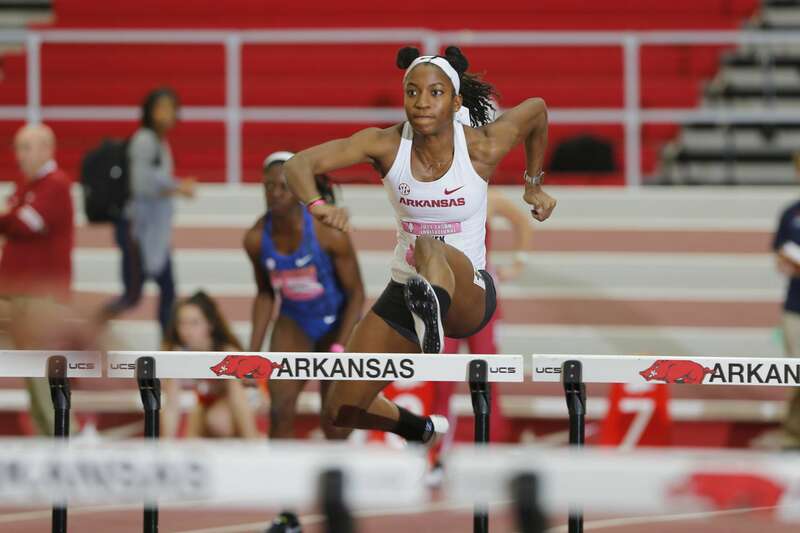 Day one action at the Tyson Invitational was highlighted by the final of the 60-meter flat and the 60-meter hurdles as Arkansas qualified two through to the final in each. In the 60-meters, Kiara Parker and Jada Baylark finished fourth and fifth, respectively, running times of 7.28 and 7.31 as LSU’s Kortnei Johnson grabbed the win in 7.17 – two one-hundredths slower than Parker’s season best of 7.15 she ran at the Razorback Invitational. “Obviously, Janeek PR’d in the hurdles, which was a very big PR for her, so we now have two hurdles under eight-seconds flat so I think that’s fantastic,” said Johnson. The 60-meter hurdle final saw its second athlete post a sub-eight time in the event as Janeek Brown turned in a huge PR of 7.95 for a second-place finish. Payton Chadwick, who ran 7.93 last season en route to the NCAA title finished eighth in 8.17. “Unfortunately, it wasn’t Payton’s day, but that happens with the territory and I’d rather have it happen here and now so we can make some corrections moving forward to the conference meet and the national meet,” Johnson finished. Morgan Burks-Magee was the top finisher for the Razorbacks in the 400-meters, running 53.71 for a fifth-place finish while teammate Sydney Hammit turned in a top-10 finish running 54.08 for ninth-place. Alex Byrnes continues to shave time off her personal-best in the 800-meters meet after meet, finishing the Tyson Invitational with a lifetime-best of 2:06.85 for third-place. Kelsey Herman pieced together a series of jumps that ended with a days best of 5.96m (19-6.75) for fifth-place. On the west coast at the Husky Classic, the Arkansas distance crew laid down PR after PR after PR. Lauren Gregory and Taylor Werner led the way in the 3,000-meter with their personal-best times of 8:55.97 and 8:56.97 that finished fourth and fifth overall. Devin Clark (9:20.59) and Sydney Brown (9:27.05) also notched personal-best times in the 3K Friday night.